HOW DOES STEMENHANCE™ ULTRA WORK? 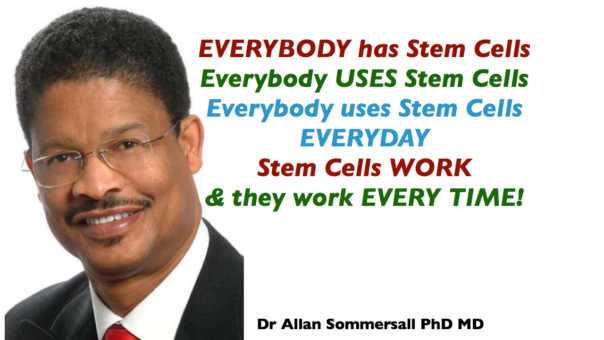 Adult Stem Cells are the natural renewal, repair and rejuvenation system of the body. They are a bit like magic building blocks for the body. ⁃ if we need new muscle cells they can become muscle cells, ⁃ if we need new heart, liver, brain or nerve cells they can become those too, ⁃ and ⁃ if we need to fight an infection or other condition in the body they can become the immune system soldiers…. the various kinds of white blood cells. and they work every time. SO WHY DO WE NEED STEMENHANCE™ ULTRA DAILY? When we were young we had plenty of adult stem cells in circulation… these adult stem cells helped us repair and renew and recover from injury and disease quickly. They helped us to feel alive, young, strong and invincible…. 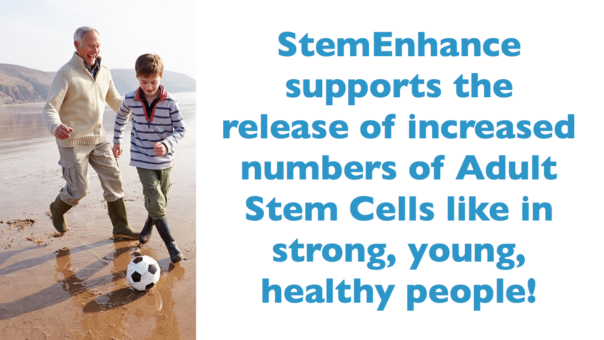 Our original stem cells live in our bone marrow. Over time our bone marrow becomes more sticky to stem cells and after we turn about 25 our body releases less and less every year…so by the time we are about 60 we have about 90% less adult stem cells circulating than when we were in our youth! What does that mean to us??? and we are less able to do the things that we enjoy in life. 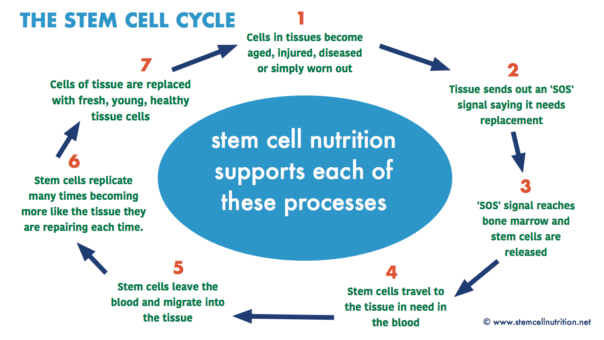 SO WHAT IS THE STEM CELL CYCLE? they become damaged through exercise or trauma like getting cut or bruised. When cells need help they send out a chemical “SOS signal” into the bloodstream. It’s a bit like they are calling out “Help me Help me!” When this SOS signal reaches the Adult Stem Cells in our bone marrow, those original Stem Cells make fresh, new ‘sister’ copies of themselves and send these sisters out into the bloodstream to be delivered to the tissues in need. 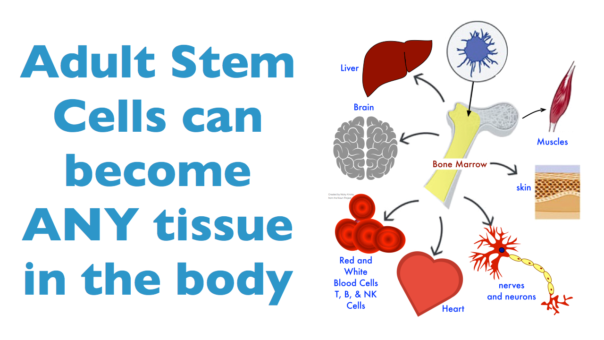 The stem cells follow that signal and when they are as close as they can get to the cells that need to be replaced, they leave the blood flow and climb into the tissue to do the repair and renewal. What affects the Stem Cell Cycle? Several different factors can affect how well this process works. the quality and strength of the “help me!” signal. stem cells might not be able to clearly “hear” WHICH tissues really need them because of silent or whole body inflammation. WHAT HAPPENS WHEN YOU CONSUME CERULE’S STEMENHANCE™ ULTRA CAPSULES DAILY? Firstly one of the ingredients called Mesenkine makes the “Help Me!” signal stronger, it is a little bit like turning up the volume on the radio. Next, the StemEnhance makes the bone marrow “less sticky” to stem cells so they can be released more like they do in young, strong, healthy people. More stem cells in circulation means the body can naturally replace old, sick or damaged cells in our body with fresh, new, young, fully-functioning ones. As a result, our body works and feels better in so many ways. When this happens, we feel better, we CAN be more active, we can enjoy life more, we become more vibrant and alive. Oh! 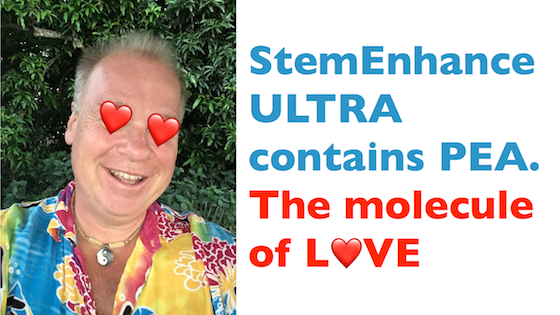 and one of the beneficial side effects of StemEnhance™ ULTRA is it helps lift our mood because it contains naturally occurring PEA, the so-called “molecule of love!”. Firstly you can consume StemEnhance™ Ultra several times a day depending on your need. most healthy people do very well on 2 capsules once or twice a day. and if you have some serious issues you are looking to address you will benefit from consuming 3 or more capsules 3 or 4 times a day. it is not toxic and you cannot consume too much so choose to consume to the level of your need and your budget. We have a few other products that support this process too ⁃ if we calm down silent, or whole body inflammation then stem cells can more accurately target the tissues that really need help…. Our product called Cyactiv is scientifically shown to calm whole body and silent inflammation, and this allows repair and renewal to occur more easily. Of course if we can get the stem cells close to the sites of need faster and more easily, then better outcomes can be expected… PlasmaFlo improves the delivery of stem cells. 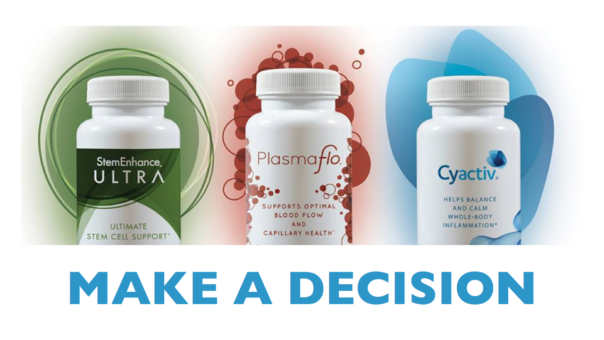 All three products, StemEnhance™ Ultra, CyActiv® and PlasmaFlo™ work together synergistically to enhance renewal and repair and tissue rejuvenation. So thats it in a nutshell, in plain simple language. There is lots of science to back up what I have just said. Now USE what you have just learned, make a decision now. These products won’t work if you just think about them and don’t consume them. I urge you to commit to using the products for a minimum of 6 months. I am confident you will be delighted with the ways your life will be enhanced. the ability to share with the people you care for. To order please go to https.mark.cerule.com. If you have any questions please inbox me or email me. Finally, if you know anybody who can benefit from this information, please share this page with them. and if you liked the recording please give me a thumbs up or a heart reaction…. it helps me reach more people to be able to help them with this information.